The Gaia space observatory is an ambitious mission to produce a 3D map of 1 billion stars in our Milky Way Galaxy (1% of the stellar population). This will help reveal the composition, formation and evolution of our galaxy. Gaia is operated by the European Space Agency (ESA) and was launched by a Soyuz-Fregat rocket towards the 2nd Lagrange point (L2) for a mission planned to last 5 to 9 years. Interesting Facts About The Gaia Mission! 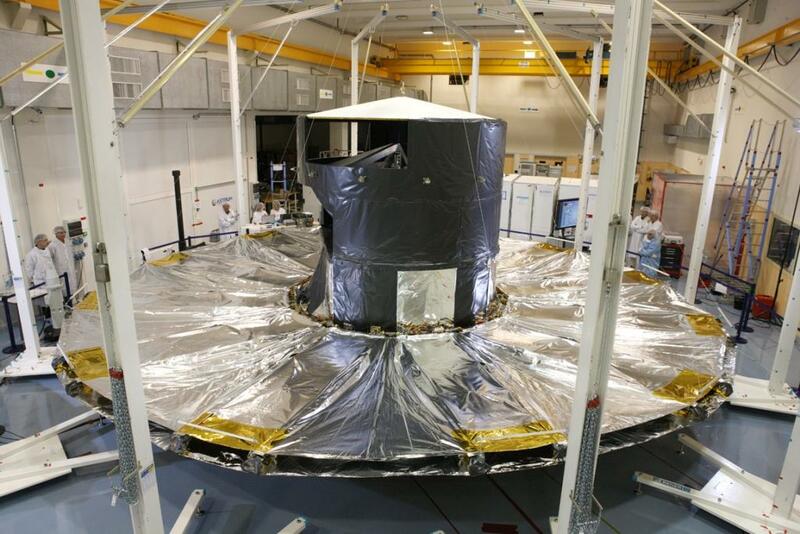 The name Gaia is an acronym based off ‘Global Astrometric Interferometer for Astrophysics’ which stuck from earlier planning for the spacecraft. 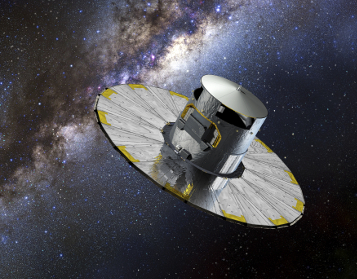 The primary objective of the Gaia mission is to produce a 3D map of more than one billion stars in the Milky Way! To achieve this Gaia will need to observe the stars up to 70 times, calculate their distance, speed (hence their orbit) while also determining their relative brightness and colour. Gaia will also survey and chart objects within our solar system, such as near-Earth objects and comets. It is also anticipated that Gaia will discover thousands of Brown Dwarfs (large planets which failed to become stars) orbiting stars or drifting through space. In addition, it is anticipated the Gaia will discover tens of thousands of large exoplanets around other stars. The Gaia spacecraft was launched aboard a Russian Soyuz Fregat rocket. The spacecraft’s size is 4.6 m (15.1 ft) high, 2.3 m (7.5 ft) wide and weighed 2,030 kilograms (4,475 lbs) when launched. The spacecraft operates from its Lissajous-type orbit taking 180 days to orbit the Earth – Sun L2 Lagrangian point (which is 4 times the distance to the Moon!). From Gaia’s L2 point the entire celestial sphere can be observed and mapped over a year, but to stay in the unstable orbit Gaia must perform small manoeuvres each month. It is estimated that the overall cost of the mission was €740 million! Wow, that’s astronomically high!